Can I just tell you how much I love living in Windsor? It's a great little community full of lots of life. This summer we are kicking off our first annual Artisan Market. Lots of local artists have joined in, but there is always room for more! You can find me at Boardwalk Park every Thursday night from 5:30pm-7:30pm. Come say "hi!" Then, stay for the free concert in the park! Here's a little peek into one of my favorite ways to use my favorite photos. 1. Print them! Sure, I love the convenience of digital images, but there is nothing quite like holding a real print in your hands. 2.Create a simple display with your favorite little squares! I printed my photos as 4x4's, then mounted them onto a 12x12 canvas using Glue Dots. See the second photo for the final result. If you don't have time to make your own, these cute little canvas collages will be available for purchase at the Windsor Artisan Market all summer long! 3. 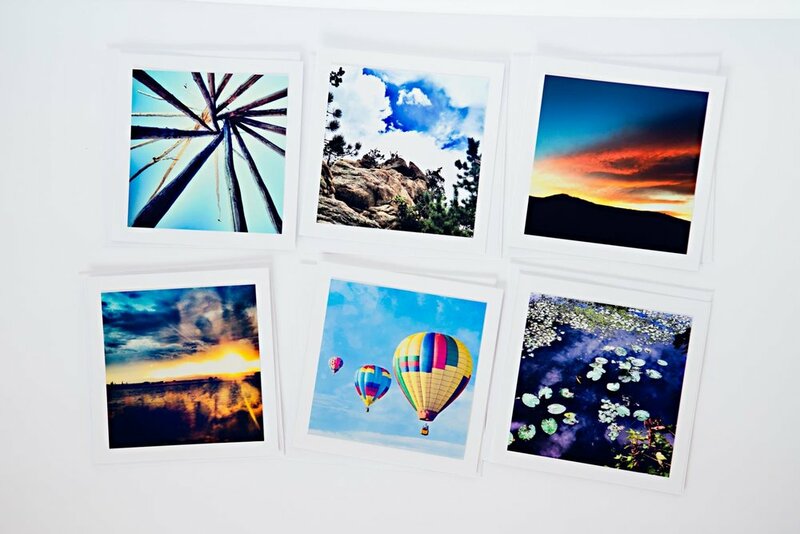 Mount your favorites onto 5x5 cards. Voila! A simple, yet beautiful card perfect for any occasion.